Kolkata Knight Riders skipper Gautam Gambhir is more or less satisfied with his side's performance in the IPL season-opener, which they lost by a narrow two-run margin here today. Chasing 154 to win, Kolkata could manage to score 151 for seven in the end. Gambhir said their batsmen and bowlers did a decent job but admitted that they need to improve catching as they spilled three chances today. "I think we tried our best. We played some good cricket. There's lot of quality in this team we bowled very well, fielded well. Apart from dropping catches we did well. 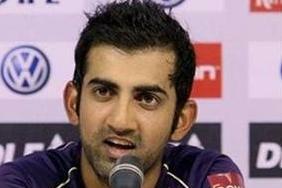 All this is part of the game, we'll just have to try and improve on our catching," Gambhir told reporters at the post-match press conference.